Fishwest is one of the biggest internet fly fishing retailers. For years, they have sold gear from all the big names (e.g., Patagonia, Simms, Sage, Winston, and many others). 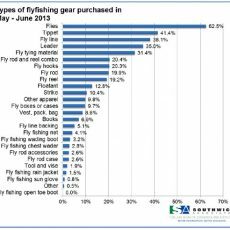 I had posted earlier (see here) about the economies of scale emerging in the retail fly fishing market. That post included discussion of the merger of Fishwest with Missoula-based Grizzly Hackle Holdings. Today I got an email from Fishwest announcing that it was carrying Orvis. I checked and they appear to have a good selection of Orvis gear including the Helios 2 (many but not all rods in the series). I did notice their Mirage reels and Silver Sonic waders were not currently available. That was a bit of a surprise as Orvis has its own distribution channels, including its own stores, a network of fly shops that carry their gear, and their own internet store. I was more than a bit surprised. Who wins the most with this announcement? I think Orvis wins – maybe not big to start, but over time it’ll be huge as it gives them significant visibility and another distribution channel in the west and west coast of the United States. It seems to me this is part of a much bigger strategy. Orvis has been out west for a long time, with many stores, endorsed guide and lodge operations, and dealer network. 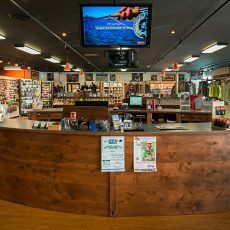 (We have an outstanding Orvis store in Bellevue that is highly regarded for its outreach on fly fishing and fly fishing education.) At the same time it has been viewed by many in the west as a stodgy east coast business with sometimes good but not great fly gear, dog beds and traditional if affected clothing. But the truth is that much of their current fly gear is as good as anything anyone else is making (and so are some of their dog beds). The Helios 2 is properly regarded by many reviewers as among the very best rods for sale today. 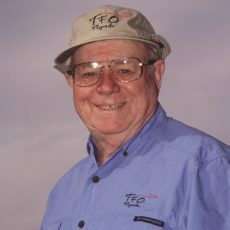 Given the size of the retail fly fishing market (see here), roughly $750 million annually, it’s clear – particularly if the fears of a declining population of fly fishers are realized – that any brand (and Orvis is a brand just as much as a Sage or a Winston are) must not settle on existing market share if they are to survive and prosper. Orvis has clearly demonstrated over the last few years a resurgence by a new freshness in design, a young set of designers (if their videos are accurate representations), and a willingness to change the game in how it does business. 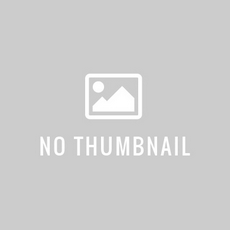 I think they want to produce the best gear they are capable of producing and they want to reestablish themselves as the leader in areas such as rods, reels, and waders. I also think Grizzly Hackle Holdings/Fishwest wins big. They are bringing on a brand with market presence and share, lots of advertising, high volume catalog mailings,and an extensive network of schools, guides, and lodges endorsed by Orvis. The more advertising there is for Orvis, the more chance they will win additional business selling Orvis products. Does anyone lose on this? I think that remains to be seen. But certainly the move of Orvis into a new distribution channel demonstrates a refreshing break with the past. Other equipment makers – particularly rods, reels, and waders – likely need to think about a world where Orvis is more visible and is offered in a big way outside their historic way of selling their gear.